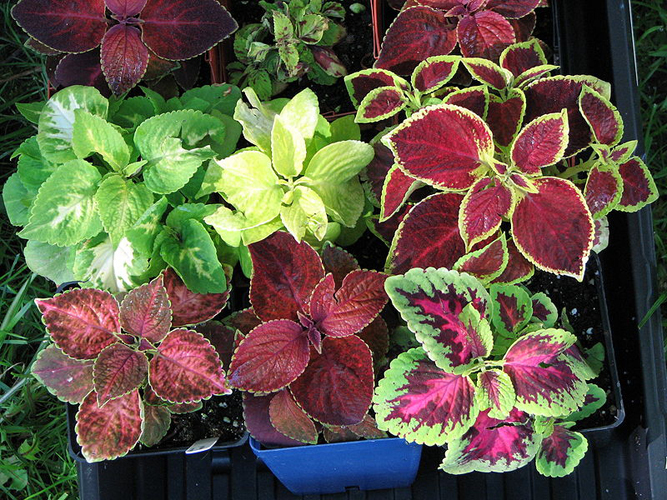 A group of tropical plants grown for their brilliantly colored leaves, colors include green, chartreuse, yellow, buff, salmon, orange, red, purple, and brown. A single leaf can have many colors. The bushy 1’ high plants are soft stemmed and need pinching out regulary to keep the plant from becoming leggy. Can be used on your patio in the summer but needs to be brought back indoors in the fall. Keep out of direct sunlight.